Mintex MDB1408AF. Nissan Sunny 1.6 4WD (B12) (N13) 1983-87. Suzuki Swift 1.3 GTi (SF413) (AA34S) 1989-97. Front brake pad set. Changed your mind?. DP452 EBC Ultimax Front Brake Pads for NISSAN NISSAN SUBARU SUBARU Cherry Sunny S-Cargo Sunny Van Justy Sumo Van. EBC brakes now produces all of its GD series and USR discs with a new ,long lasting corrosion resistant finish. NISSAN 4406015A85, 4406015A87, 4406050A86, 4406058Y86, 4406073A85. NISSAN SUNNY Mk III Traveller (Y10) 1.6 i Estate Petrol 06/1991 03/2000 FWD 16 90 66. NISSAN SUNNY Mk III Traveller (Y10) 2.0 D Estate Diesel 06/1991 03/2000 FWD 8 75 55. Part Number : DP988. The radically improved Ultimax ECO friendly brake pad. If you thought this Ultimax brake pad was good, this one is even BETTER! Fully R 90 approved as was the original Ultimax grade. NISSAN SUNNY Mk III Traveller (Y10) 1.6 i Estate Petrol 06/1991 03/2000 FWD 16 90 66. NISSAN SUNNY Mk III Traveller (Y10) 2.0 D Estate Diesel 06/1991 03/2000 FWD 8 75 55. Function Brake Pad Set, disc brake. NISSAN SUNNY IV Saloon (N16) 1.5 4x4 Saloon Petrol 09/1997 03/2000 AWD 16 105 77. NISSAN SUNNY IV Saloon (N16) 1.3 Saloon Petrol 09/1997 03/2000 FWD 16 87 64. NISSAN SUNNY IV Saloon (N16) 1.5 Saloon Petrol 09/1997 03/2000 FWD 16 105 77. Part No : ADN14245. NISSAN SUNNY Y10 1992-95 (LHD) 1.7D Van FWD 5 MTM CD17 Y10 08/92>12/94. NISSAN SUNNY Y10 1992-97 1.6 Est - LX FWD 5 MTM GA16DS Y10 01/92>10/92. NISSAN SUNNY Y10 1992-97 1.6i Est - LX FWD 5 MTM GA16DE Y10 10/92>12/94. Brake Disc Thickness [mm] : 16. Fitting Position : Front Axle. NISSAN D106067R86. NISSAN 4106086R85. NISSAN 4106067R86. NISSAN 4106058Y87. Part Number BRP0782. 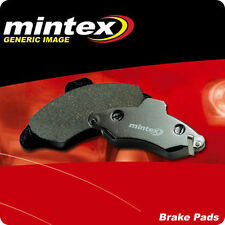 FRONT BRAKE PADS FOR NISSAN SUNNY N14 1.6 1991-1993. Model Sunny N14. Make Nissan. Body Type Saloon. Quantity 1 x Front Set (full). Fitting Position Front. PAD System SUMITOMO. Right of portability – you have the right to have the data we hold about you transferred to another organisation. However, if you select this setting you may be unable to access certain parts of our website. DP2892 EBC Greenstuff Front Brake Pads for NISSAN NISSAN (S.Africa) Lucino Sunny 100NX Sentra Sentra Sabre. Greenstuff Brake Pads. Choose from EBC plain non drilled rotors or sport rotors in two choices – wide aperture GD Sport Rotors series for cooler running or new super silent UltimaxUSR slotted rotor series. Why this exclusivity?. Brake System components should be regularly checked and thoroughly looked over as part of your vehicles service. We apologise in advance for any inconvenience caused. Often forgotten about your vehicles Brakes are one of the most important safety systems fitted to every vehicle.